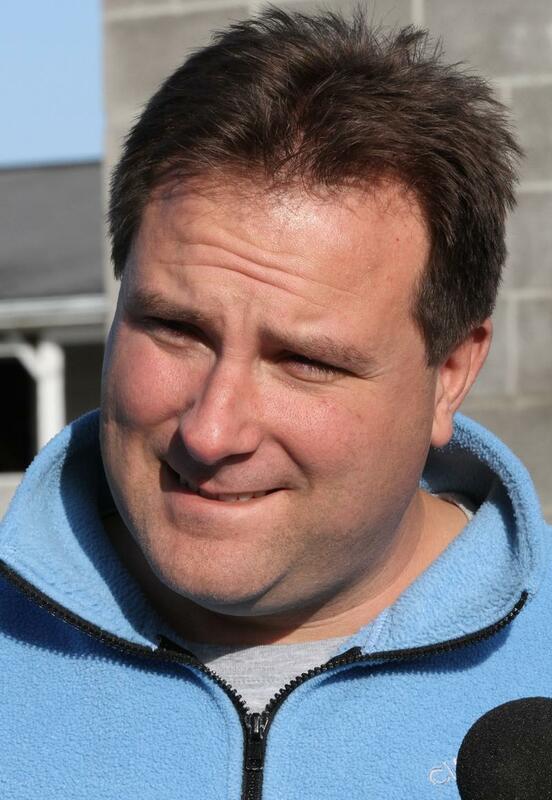 Trainer Mike Maker will be sending out his duo of Roman Approval and Johns Kitten in Saturday’s featured event, the $100,000 Louisville Handicap (Grade III), which is run at a distance of 1 ½ miles on the Matt Winn Turf Course. Roman Approval, sixth last time out in the Mervin Muniz Memorial (GII) at Fair Grounds, will be stretching back to 1 ½ miles after running at the distances of 1 1/16 miles and 1 1/8 miles. Prior to the 5-year-old son of Roman Ruler’s most recent outing, he was a late-closing second behind Chocolate Ride in the Fair Grounds Handicap and the Colonel E.R. Bradley, both Grade III events at the Fair Grounds. Maker believes that he performs his best going longer distances. With little speed in the race, Maker expects Roman Approval to be sitting near the lead, where he typically does his best running. 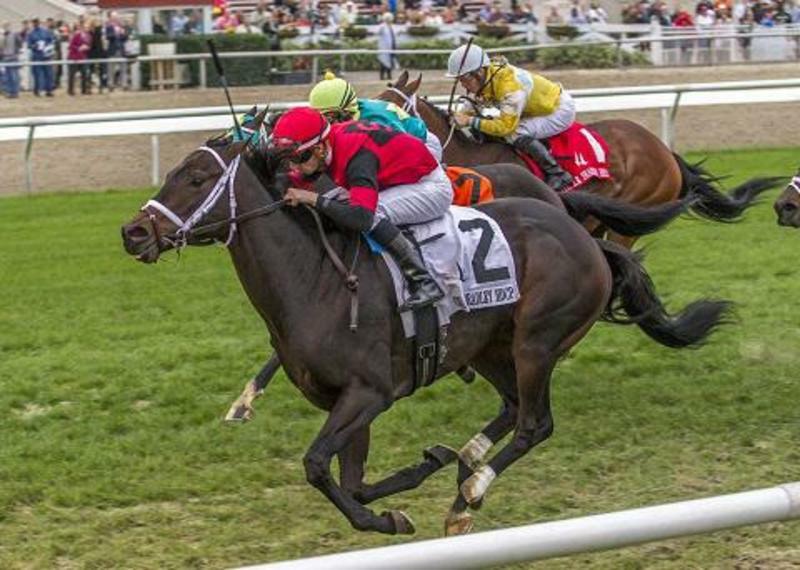 Maker also sends out Johns Kitten, who will be making his graded stakes debut and comes off a trio of victories against maiden, claiming and allowance company. Although he is taking such a step up in class, Maker is confident that the Virginia-bred son of Kitten’s Joy has what it takes to perform at this caliber. Roman Approval will break from post 2 and will be ridden by Robby Albarado, a four-time winner of the Louisville Handicap. Johns Kitten breaks from the 4-hole and will have James Graham in the irons. The Louisville Handicap field from the rail out (with jockeys, morning line odds and assigned weight): Tiz Town (Brian Hernandez Jr., 10-1, 112 pounds); Roman Approval (Robby Albarado, 5-2, 117); Bullards Alley (Francisco Torres, 8-1, 114); Johns Kitten (James Graham, 6-1, 114); Aldous Snow (Joe Rocco Jr., 4-1, 115); Wireless Future (Shaun Bridgmohan, 8-1, 115); and Dynamic Sky (Channing Hill, 2-1, 116). THATCHER STREET IN SEARCH OF FIRST STAKES WIN IN OPENING VERSE – Randall L. Bloch, Phil Milner, and John Seiler’s Thatcher Street will be looking for his first stakes victory when he takes on a dozen others in Saturday’s $65,000-added Opening Verse Overnight Stakes run at a distance of one mile on the Matt Winn Turf Course. The son of Street Sense boasts a record of 4-2-2-0 when racing over the Churchill lawn, which gives trainer Ian Wilkes confidence that he can get the job done. 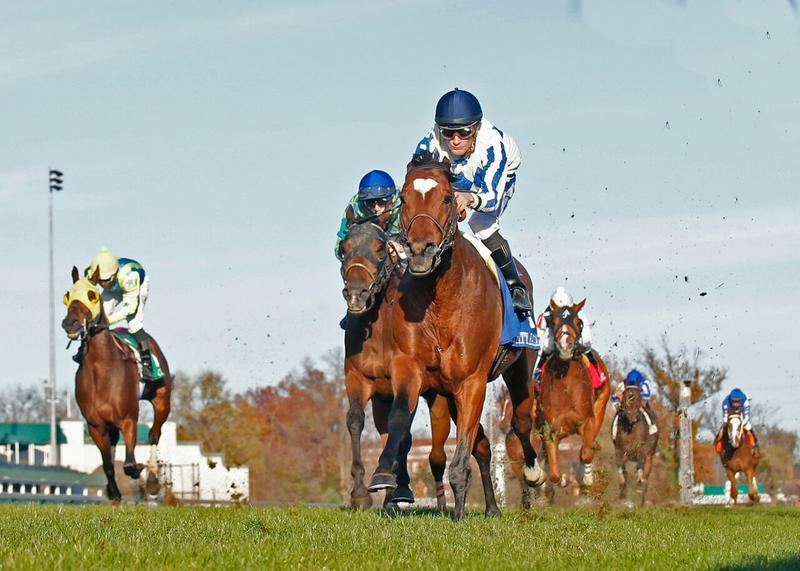 In his most recent Churchill outing, Thatcher Street was second beaten two lengths behind Heart to Heart in the River City Handicap (GIII) on Nov. 26. Wilkes discussed how well the horse has developed since his 4-year-old campaign. The Opening Verse field from rail out (with jockeys and morning line odds): Thatcher Street (Brian Hernandez, Jr., 3-1), Green Mask (Joe Rocco, Jr., 2-1), Dimension (GB) (Declan Canon, 20-1), Slip By (Jesus Castanon, 15-1), Hammers Terror (Robby Albarado, 15-1), Aztec Brave (Fr) (Gary Stevens, 5-2), Kulik Lodge (James Graham, 12-1), Dac (Sophie Doyle, 50-1), R Great Adventure (Chris Landeros, 20-1), Potamac River (Juan Vargas, 20-1), Pleuven (Fr) (Channing Hill, 10-1), One Touch (Francisco Torres, 50-1). 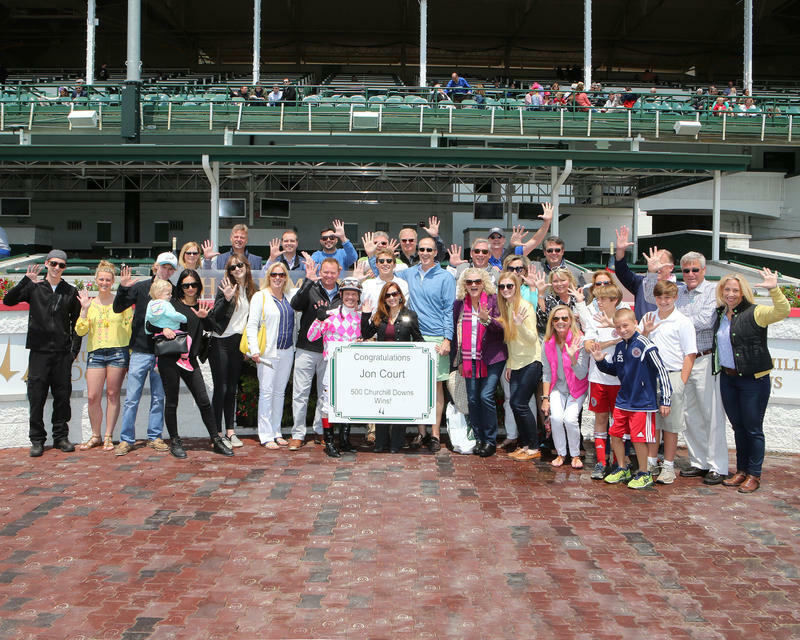 COURT SCORES 500TH CHURCHILL WIN SUNDAY AFTERNOON – Jockey Jon Court celebrated his 500th victory at Churchill Downs aboard C Islandsurprise in the first race on Sunday afternoon for trainer Paul McGee. “It feels awesome and I’m delighted I got there,” Court said. “I was told by a number of horsemen that I would’ve surpassed that number by double if I wouldn’t have gone out to California or gone off to other racetracks but I circulated around and throughout the industry and have no regrets. I’ll continue to do so as the future holds. 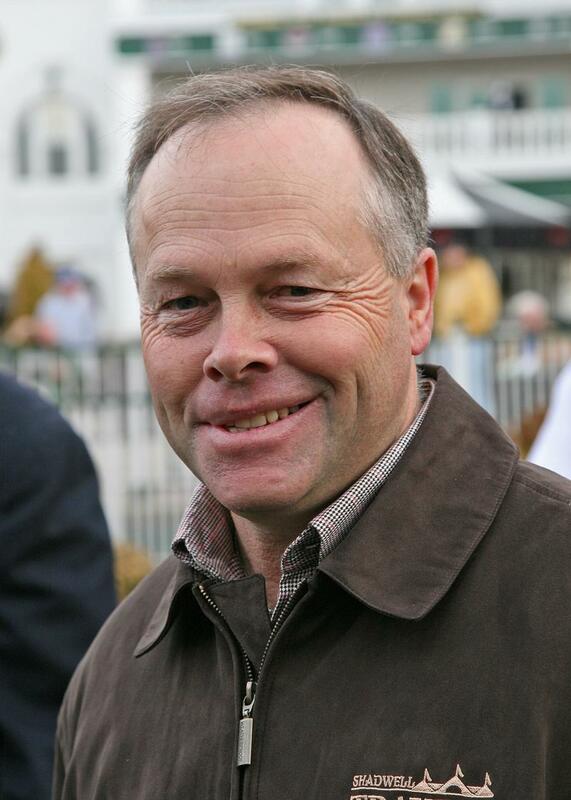 Court became the 13th jockey to reach the 500-win milestone at Churchill Downs joining Churchill all-time leading rider Pat Day (2,482), Calvin Borel (1,189), Robby Albarado (1,063), Don Brumfield (925), Larry Melancon (914), Jim McKnight (883), Charlie Woods Jr. (757), Shane Sellers (738), Corey Lanerie (724), Julien Leparoux (722), Julio Espinoza (642), and Shaun Bridgmohan (624) as members of Churchill’s 500 club. This was a milestone that Court was not aware he was so close to approaching. At age 55, Court has proven that he still has what it takes to ride with some of the top guns in the game. So how is he able to still perform at the level that he does? Court is named on one mount for Thursday’s card aboard Tizmatized in Race 6.